'Umar said: We were the most disgraced people in Jaahiliyyah, and then Allah honored us through Islam; whenever we seek honor through other than what Allah gave us honor through, He will ... See More disgrace us! "Outward imitation is evidence of inner love." 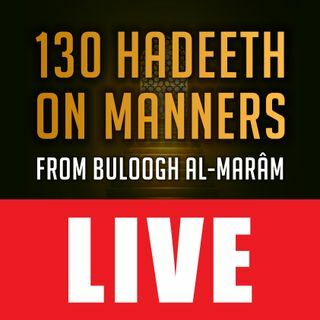 These lessons are a study of the book, Buloogh al-Maraam, by al-Haafith Ibn Hajar (may Allah have Mercy on him). The explanation of Shaykh Saalih al-Fowzaan (may Allah preserve him), Et-haaf al-Keraam, is read word-for-word, in Arabic, and translated into clear English. This 29th lesson was recorded on 1440.08.01, broadcast live, and then edited and republished for free downloading. Barak​ Allahu​ fikm, i​ wish​ to​ have​ the​ book​ too.